If a user is a team manager or team lead of one or more teams, the dashboard icon will appear at the bottom of the screen. 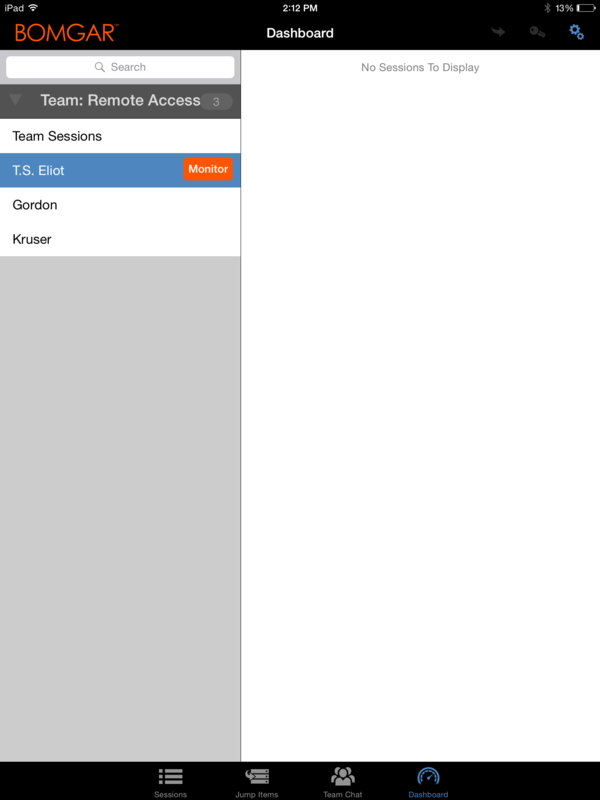 On the dashboard, only logged-in team members of a lower role for the selected team will appear. Select the user whose screen you wish to view and then tap the Monitor button. This will open a new page in your access console, displaying either the user's entire computer screen or only the access console, depending on the administrative settings. Select the user whose screen you wish to view and then click the Monitor button. Within a team, a user can manage only those with roles lower than their own. Note, however, that roles apply strictly on a team-by-team basis, so that a user may be able to oversee another user in one team but not be able to oversee that same user in another team.